You can never have too much Dragon Ball, and since Launch is such a fun character I wanted to cosplay both her personalities! My only regret is that I can’t change my hair color by sneezing. The costume is almost entirely purchased and altered, with the hair bow being the exception. I bought yellow shorts, an orange belt, leg warmers, and brown fingerless gloves, then added shoulder straps, the yellow belt sleeve, the cuffs, and emblem on the gloves. For the shoes, I made the white detail with foam, glued it on with fabric glue, and finally switched the original laces for bright yellow ones. 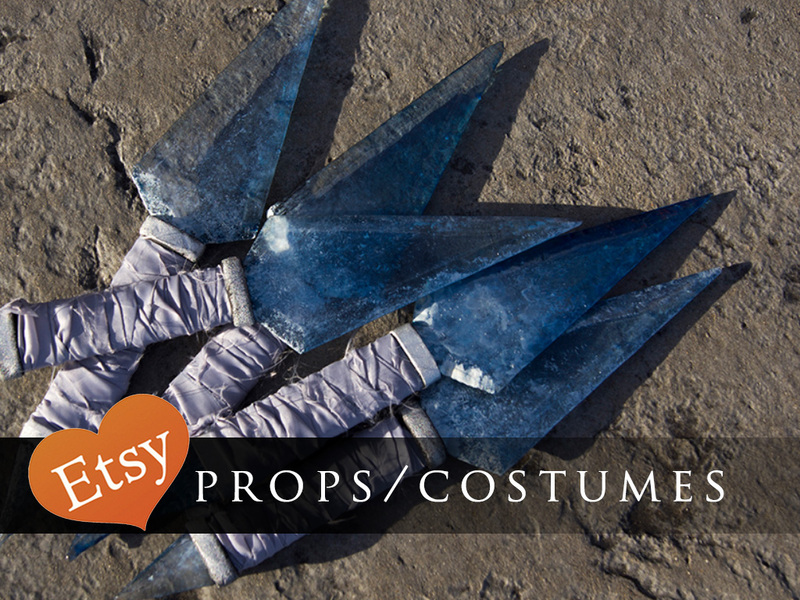 The hair bow was made from scratch using a headband, fabric, and wire, the wigs were styled with copious amounts of teasing and hair spray, and The prop guns you see in the photos are from Wulfgar Weapons and Props.